The National Mosque of Malaysia is located in Kuala Lumpur. It has a capacity of 15,000 people and is situated among 13 acres (53,000 m2) of beautiful gardens. 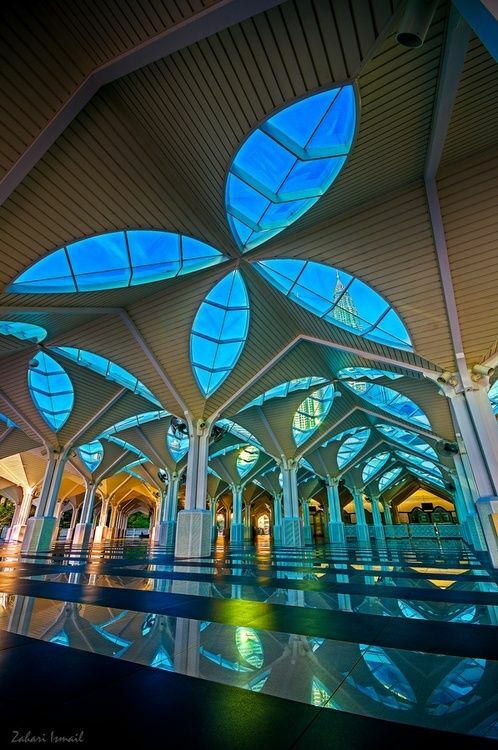 The original structure was designed by a three-person team from the Public Works Department - UK architect Howard Ashley, and Malaysians Hisham Albakri and Baharuddin Kassim. The mosque was built in 1965 on the site of a church, the Venning Road Brethren Gospel Hall which had stood there since 1922 but appropriated by the Malaysian government. The mosque is a bold and modern approach in reinforced concrete, symbolic of the aspirations of a then newly-independent Malaysia.